We had family visiting this weekend from out of town and my husband insisted that I make my famous his favorite french toast: bourbon vanilla french toast. I cringed a little knowing I wouldn’t be able to eat breakfast with the family … or I’d at least be the one eating a bowl of cereal at the table. (which I’m totally ok with, too! i LOVE cereal. Probably a little to much … but anyway, that’s another day. hehe.) 🙂 I didn’t even want to know how many points were in my french toast. Bummer … cereal it is! 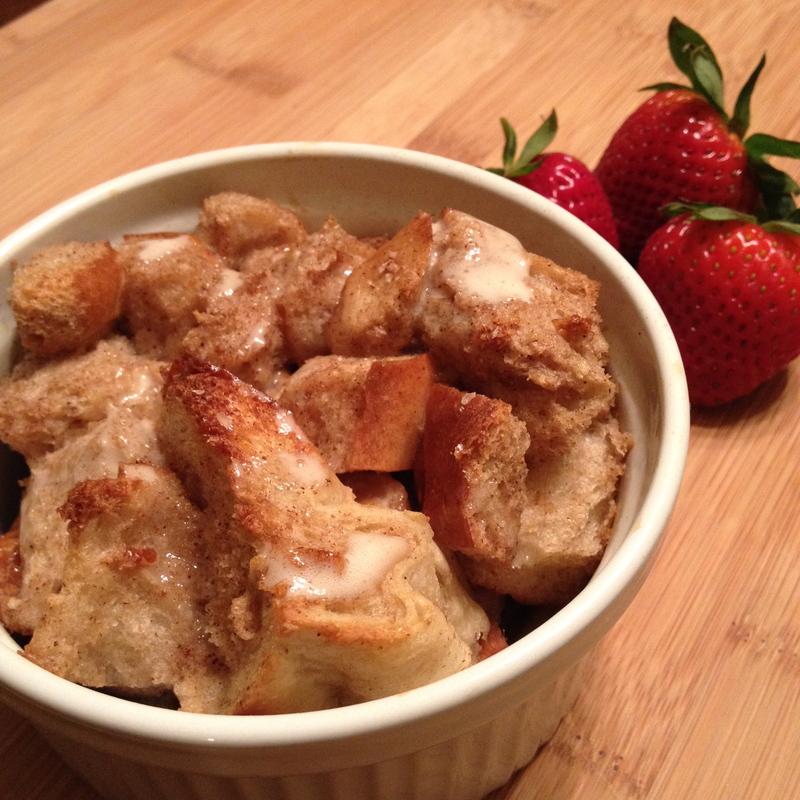 But, as I was making their french toast, it smelled so good and looked like the best batch I’ve ever made. Must have some! 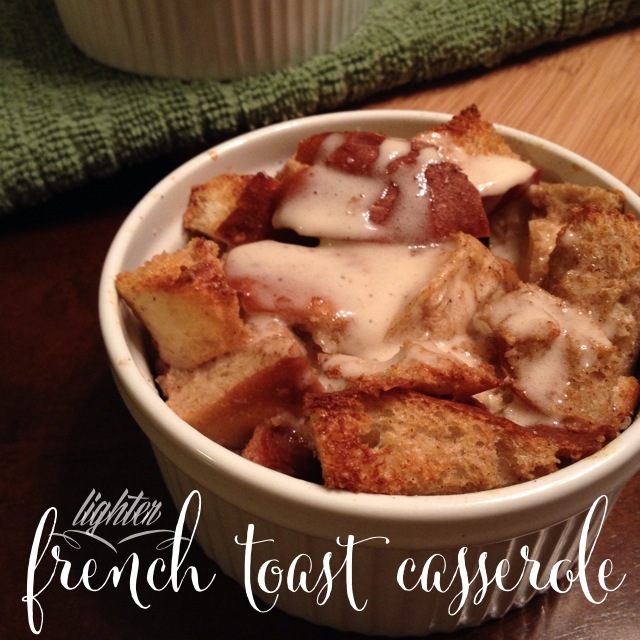 I had extra bread and a little extra bourbon-y vanilla eggy liquid: the perfect amount for a single serving of casserole. So, I cubed up the bread, soaked it in the magic and baked it. For my casserole, it came out to 9pp. Totally worth it! However, I knew I could make this with fewer points. 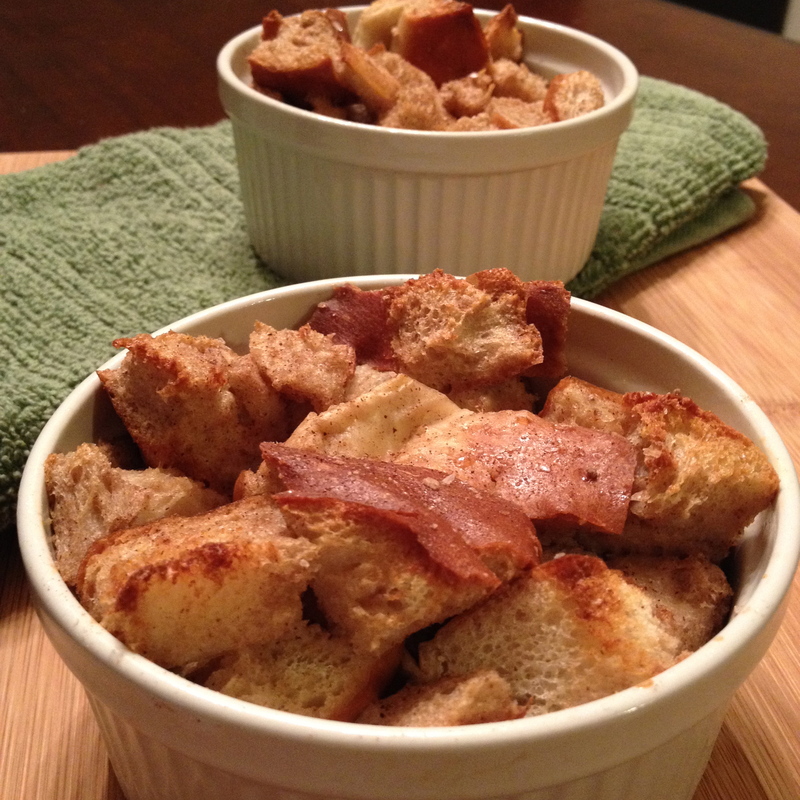 With extra bread and a little experimenting this morning, the “lighter french toast casserole” was born. 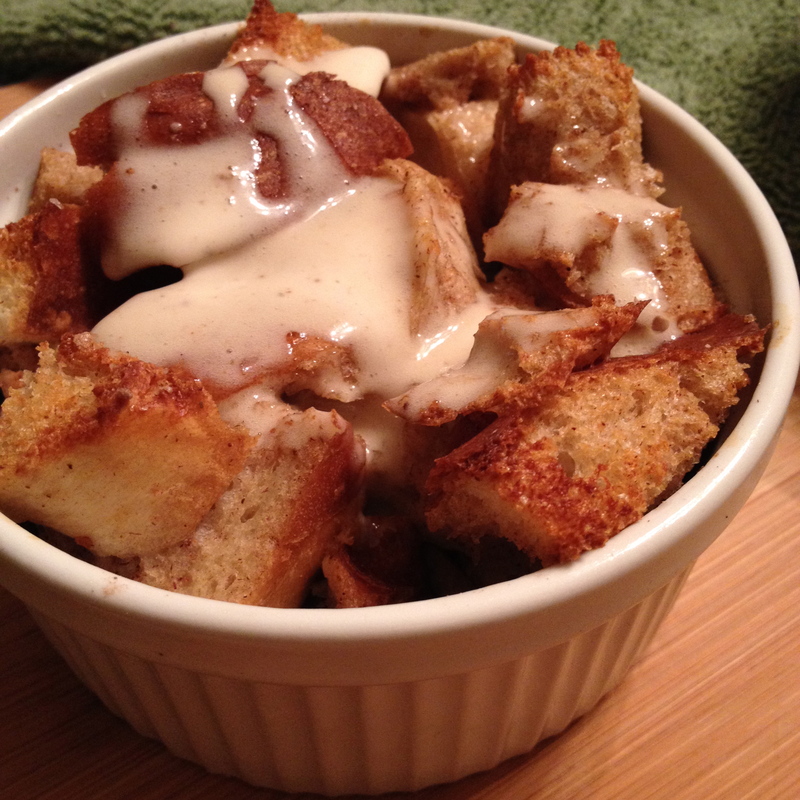 Preheat oven to 375F and spray 2 (1 cup sized) ramekins with a nonstick spray. 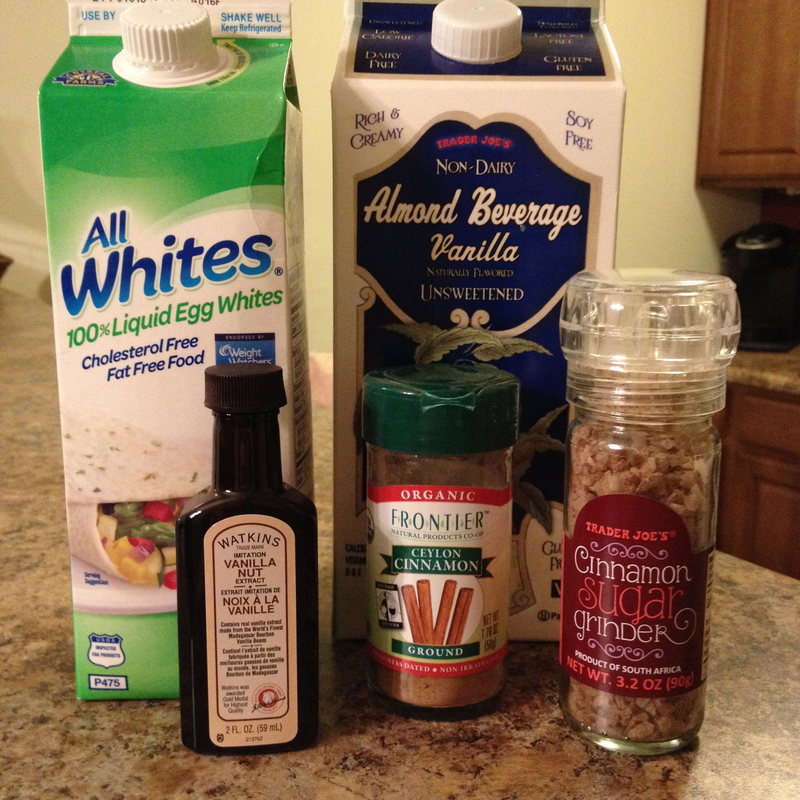 In a large bowl, mix almond milk, egg whites, cinnamon, and vanilla extract. 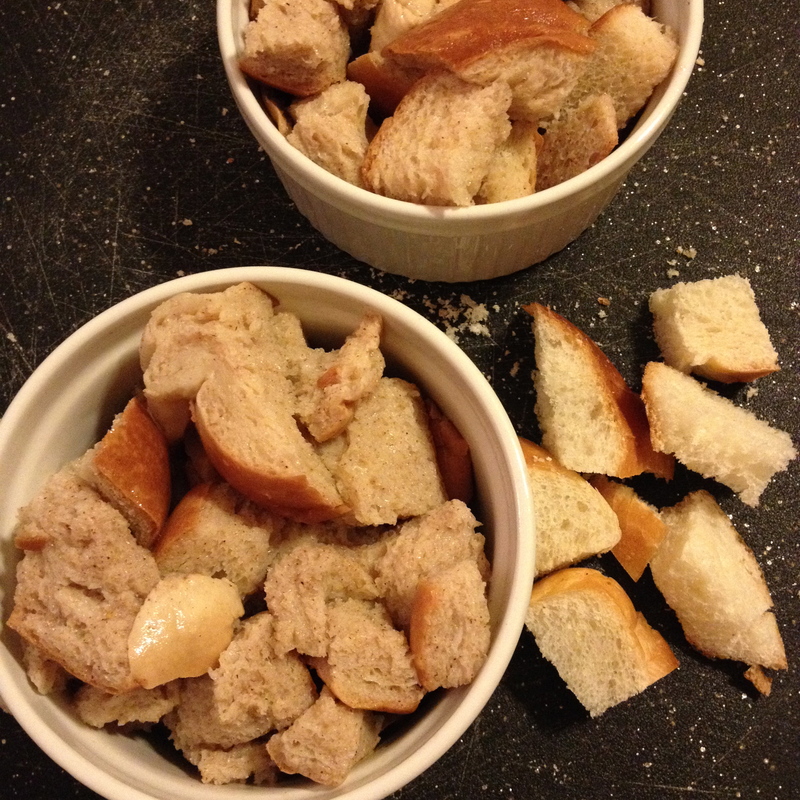 Add in the cubed bread and toss lightly, allowing the bread to soak up the egg mixture. 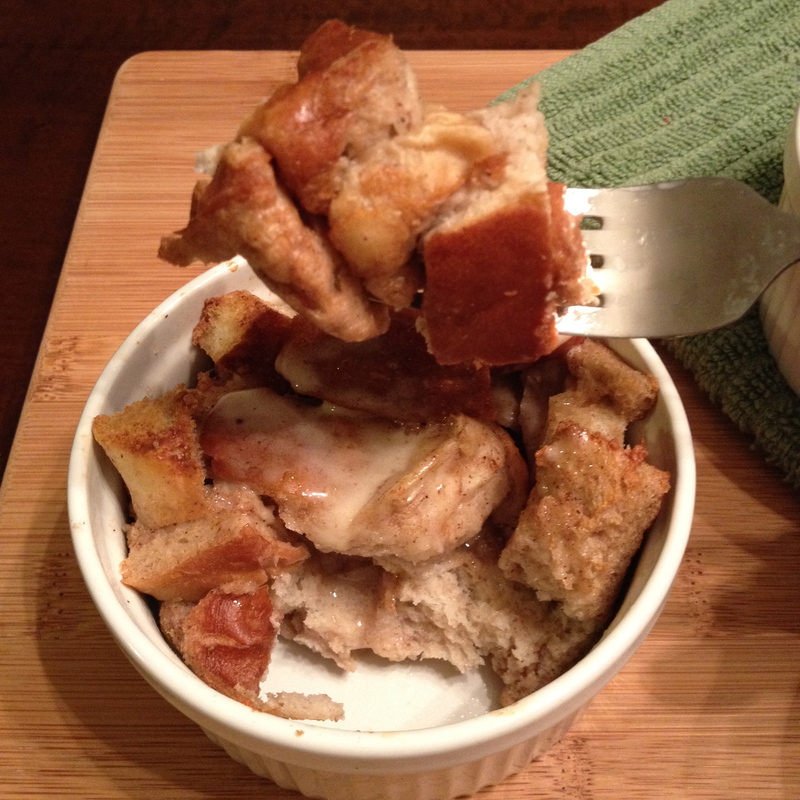 Divide the bread mixture between the 2 ramekins and top each one with a few grinds of the cinnamon/sugar grinder. Bake for 20min or until toothpick comes out clean. 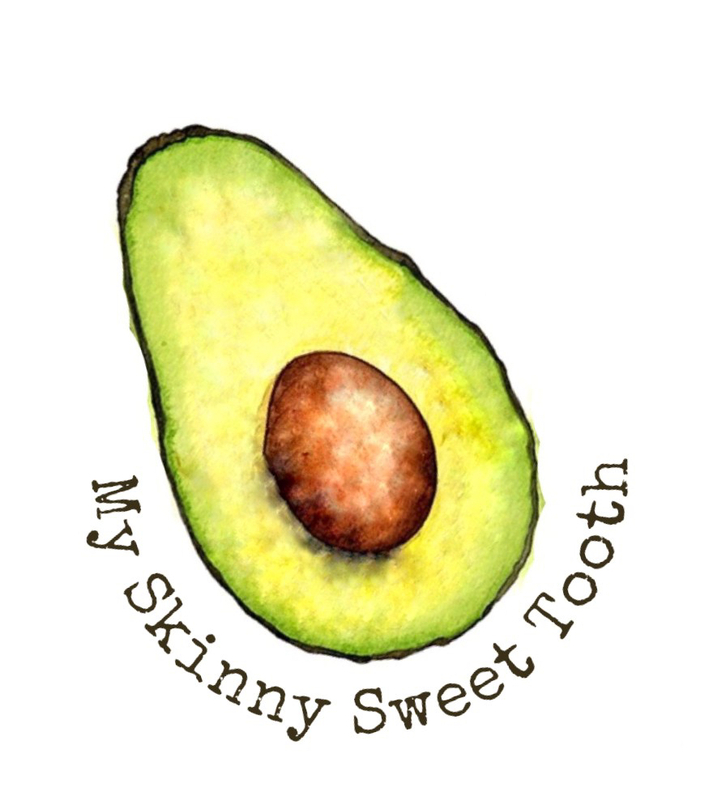 This will be another fun recipe to play around with. Coconut, banana, ooh man. Good thing the points are low 😉 Have a great week everyone!